MAKE THE PIECES YOU SEE!! 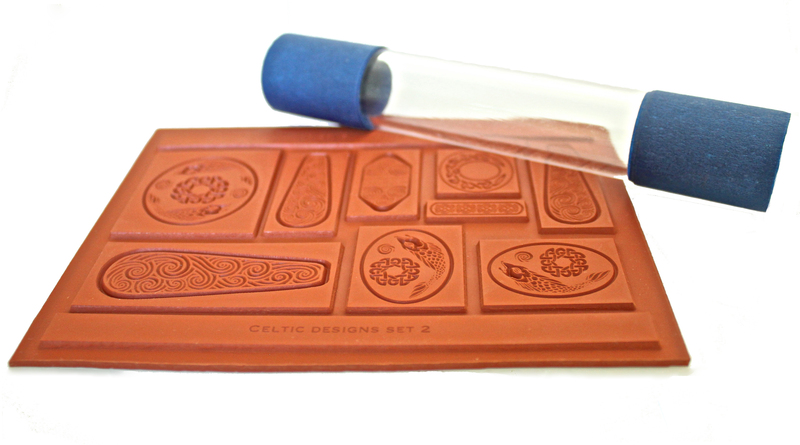 These deep relief, natural gum rubber texture plates were drawn and designed by Wanaree specifically for metal clay applications and were the secret to her professional Celtic jewelry line for many years. They feature crisp, fine detail, rolling tracks (so you never have to worry about having room for your roller), and spillover groves for excess clay to escape to encourage clean impressions. With this class you'll even learn how to create a Texture Right Roller plus all the secrets for getting great impressions everytime out of your texture plates. Free shipping to the lower 48 states! 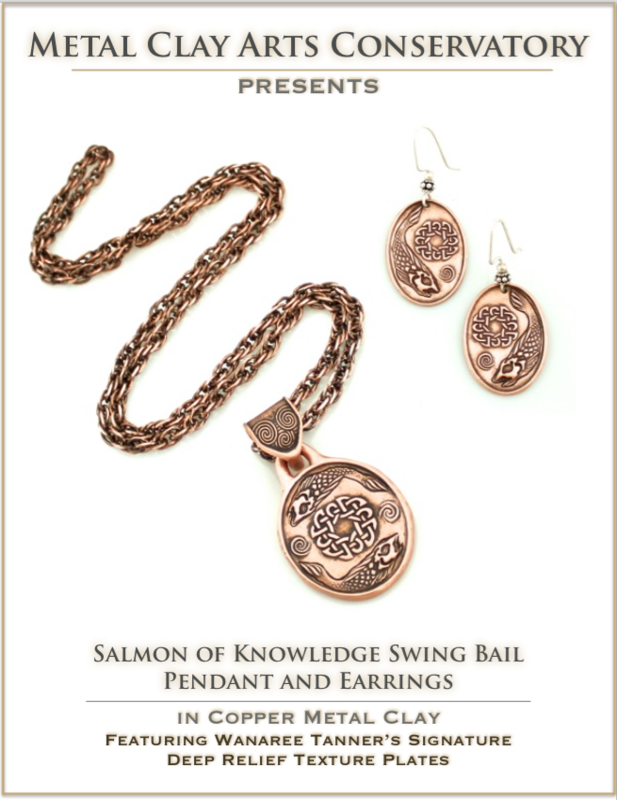 MetalClay Arts Conservatory's digital library is a focused study for the cultivation of metal clay artistry delivered to the comfort of your home or studio. This Project Workshop Course comes with my new signature natural gum rubber, deep cut texture plates designed to get great relief impressions, and will be featured in future classes! The course not only covers working the wet and dry metal clay, but also making custom tools, firing, kiln programing, high contrast patina finishing, getting clean consistent impressions from this finely detail textureplate, making matching custom ear wires, introduction to carbon firing, kinetic swing bail construction, and so much more. This class features 18 separate demo videos and 19 lessons, 90 pages of step by step class handouts and support PDFs (embedded with live hyperlinks so you don't ever have to wonder what a particular tool is or where it’s available.) Everything is streamlined and easily accessible from multiple devices. This Project Workshop, taught live, over two days would cost at least $250 in any teaching studio or school, but is now available, for a fraction of the cost.